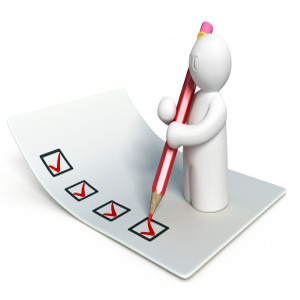 On our last post we provided a cleaning checklist for a Move Out Cleaning. But most people would rather have a checklist they can use or even reference to, which helps them keep their home clean or to see if the cleaning service they are currently using is doing what they need to do. The checklist below covers all the vital areas of the home to make sure your home is maintained properly. This is exactly what our Los Angeles House Cleaning Company consist of by default & what our house cleaners adhere by. Bathrooms are one of those places you can never neglect, which is why we reccomend you start off with them while you still have 100% if your energy & focus. The second most challenging room of a home is cleaning the kitchen. It’s the second easiest room that can take up to hours to clean but less than 30 minutes to dirty up. All it takes is cooking a hefty family dinner to have some of the food spill on the stove tops, floors,etc. Then the leftover mess of all the dishes in the sink. Now that you have fished the kitchen & the bathroom, the bedroom should be a walk in the park. Kind of like a cool down after a hard intense workout. Dust/ Remove any cobwebs in the top corners of the home. dust Ledges. Easy, simple, and straight to the point. No body said that cleaning had to be rocket science.